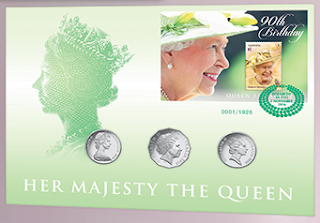 Part of the Impressions™ range, this limited edition PNC (limited to 1926) includes a digitally printed miniature sheet. This miniature sheet is only available on cover, with a foil postmark tying it to the cover. The $1 stamp is new for specialist collectors with the biggest difference being the thickness of the '$1' and 'Australia' inscriptions.